The Bill and Melinda Gates Foundation/YouTubeMelinda and Bill Gates. Bill Gates is the second richest person on Earth – which affords him a lot of power. 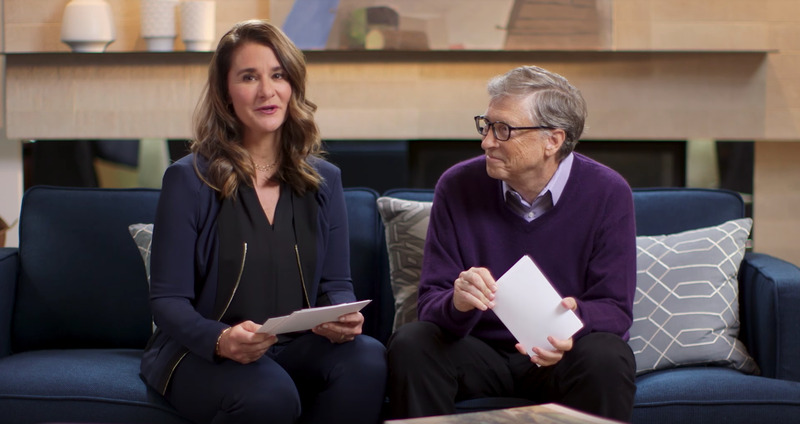 He and wife Melinda largely use that power for philanthropic purposes through the Bill and Melinda Gates Foundation, which funds projects that aim to reduce poverty, inequality, disease, education gaps, and hunger around the world. Bill added that he realises critics of the foundation’s charitable work don’t often voice their concerns due to fears that they will lose funding. The Gates Foundation is the largest private foundation in the world, and requires critical scrutiny about its far-reaching influence. As Vox notes, while plenty of experts believe the foundation has improved the state of the world, some say that the Gates’ health philanthropy has become too big to evaluate. The scale of its giving highlights the trend of philanthrocapitalism, in which billionaires – from the Gates’ to the Zuckerbergs – give charity through foundations that may have little oversight, regulation, or public input due to the financial power they wield.